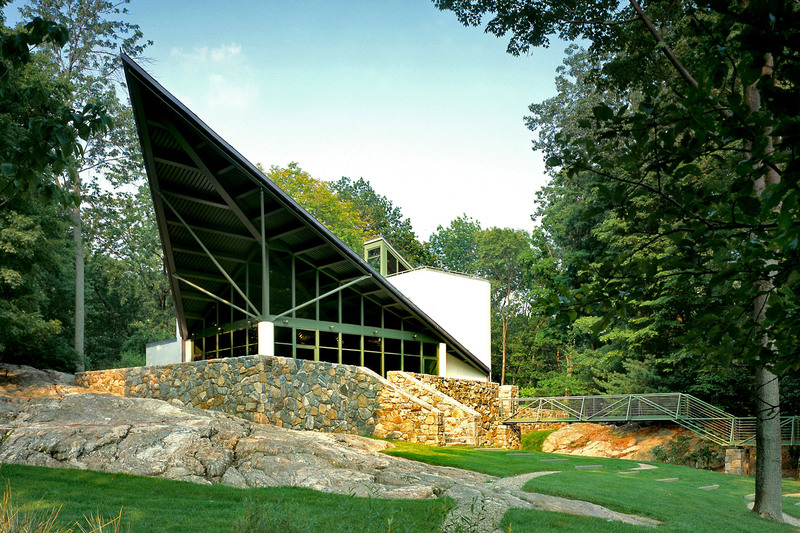 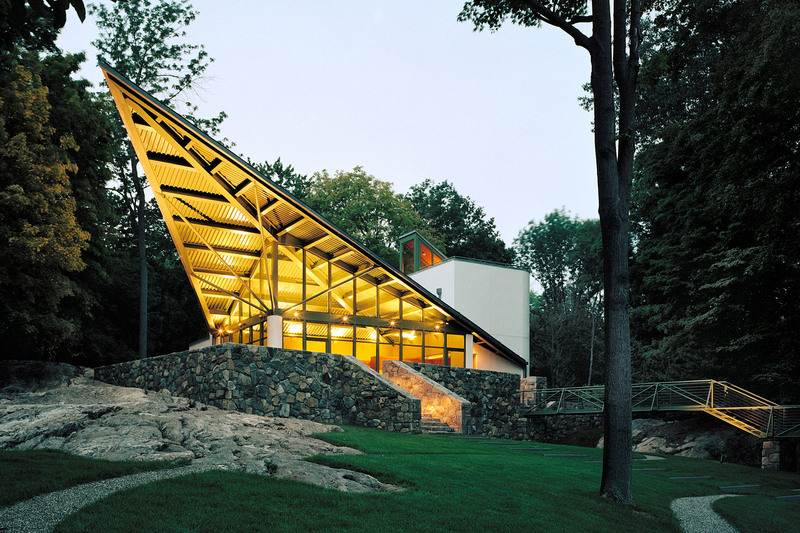 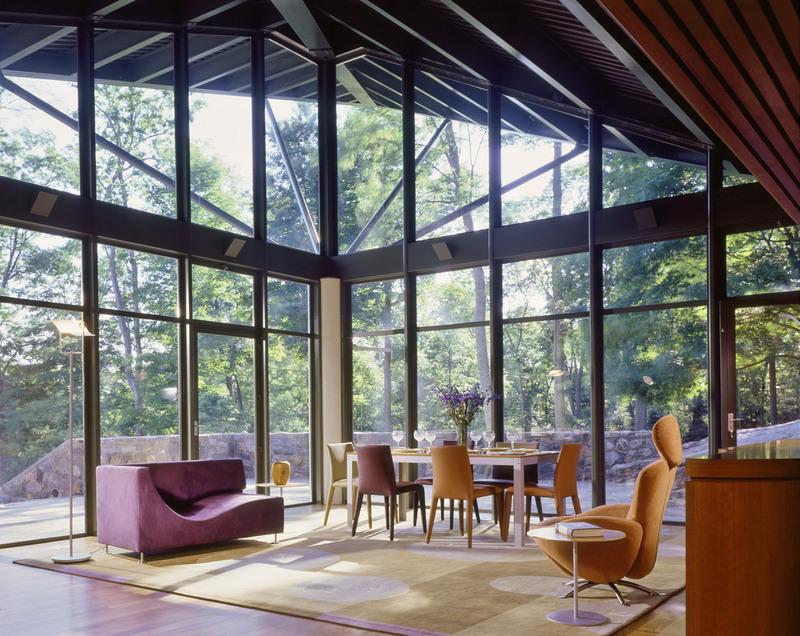 Set on a rocky outcrop in the back country of Greenwich, this 2,793 square-foot painted steel, glass and stucco structure recalls the garden pavilion tradition of the Italian Renaissance. 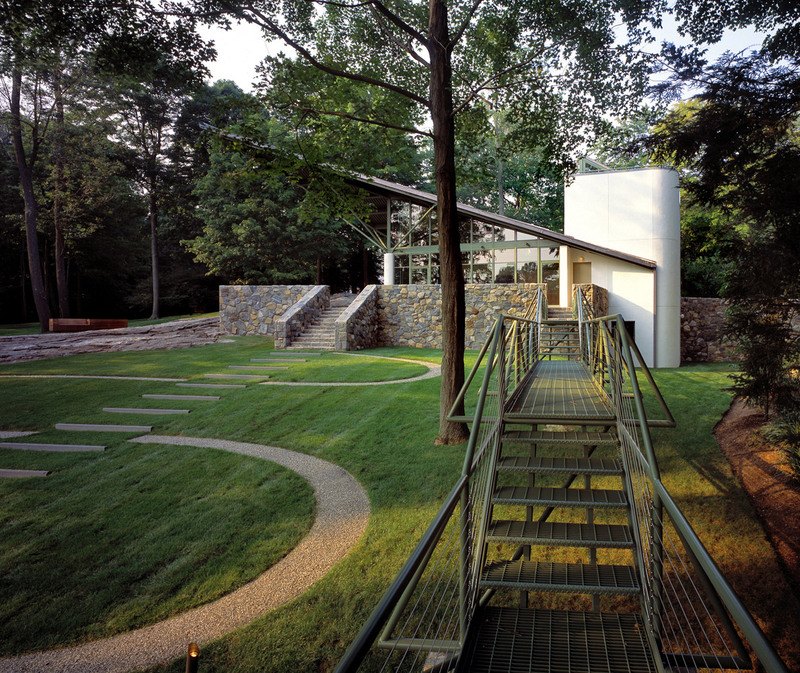 Like its Renaissance model, this modern playhouse is designed for relaxation, serving as the nexus of various garden paths — some meandering, others more directly leading to it. 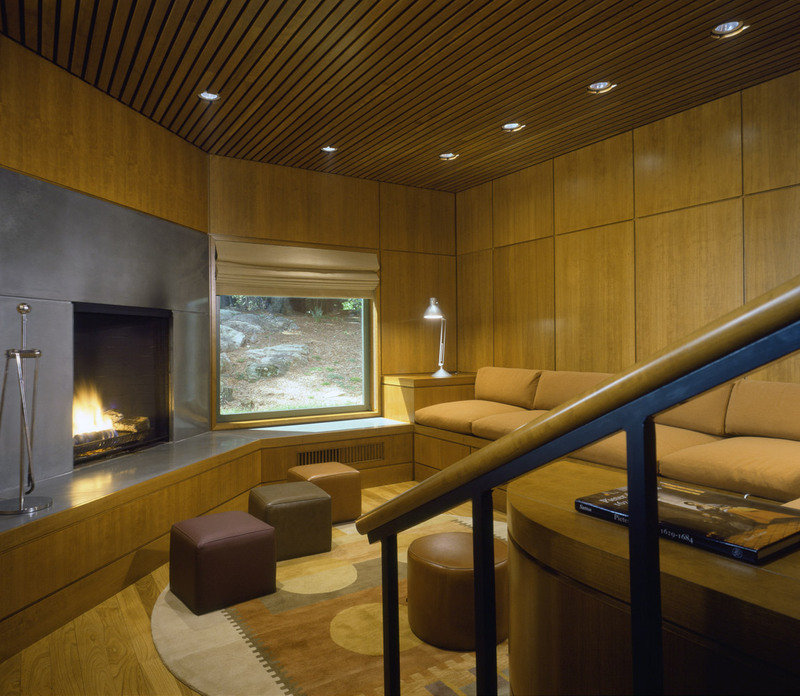 The main level features a large cherry-paneled room for entertaining, along with a more intimate media-room with fireplace. 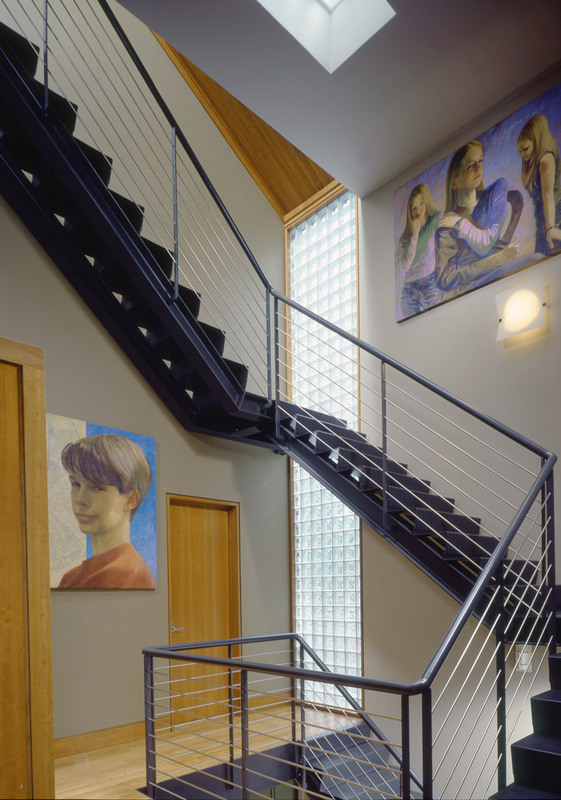 An art room, photo room and game room are located downstairs. 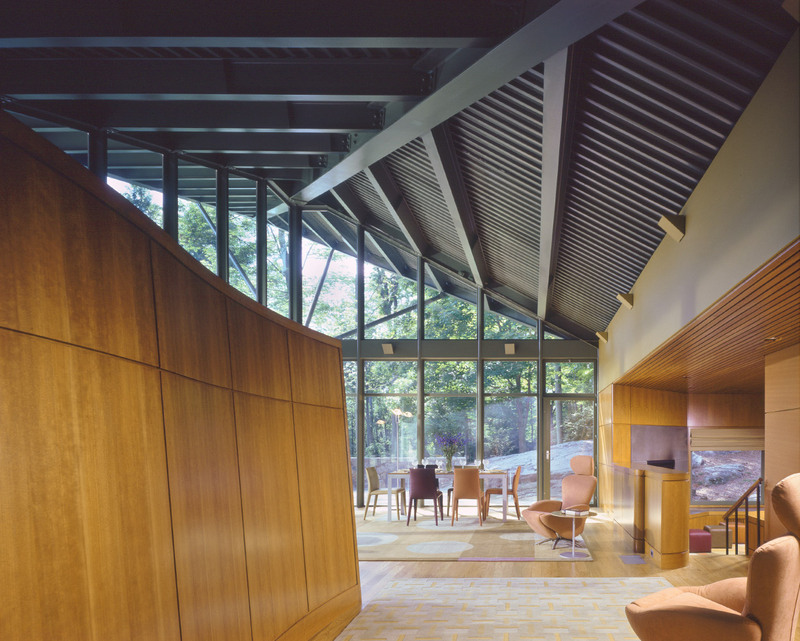 Uniting the party room with the terrace is a dramatic overhanging steel roof that beckons to visitors strolling along the paths.